The highest-income earners are frequently the target of criticism from middle-class America and progressive politicians who accuse the wealthy of not paying their fair share of taxes. 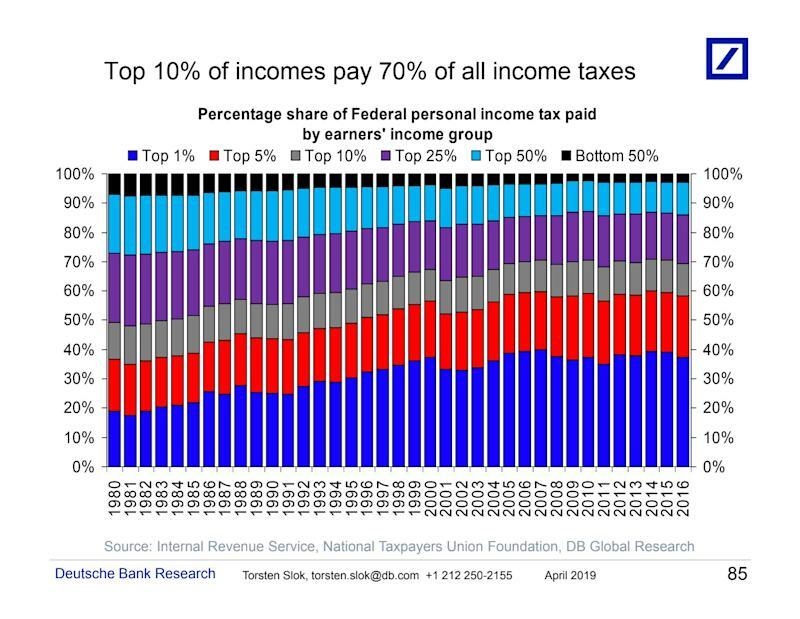 In the first chart below, the top 10% of incomes (blue, red, and gray) is shown to have paid 70% of all income taxes in 2016. The top 1% paid more than 35%, the top 5% contributed nearly 60% before adding the top 6-10%. In 2016 , a single individual who made over $190,150 paid an average 33% rate on their federal income taxes. The highest bracket paid 39.6%. Those rates remain relatively unchanged under the new tax law passed in late 2017. 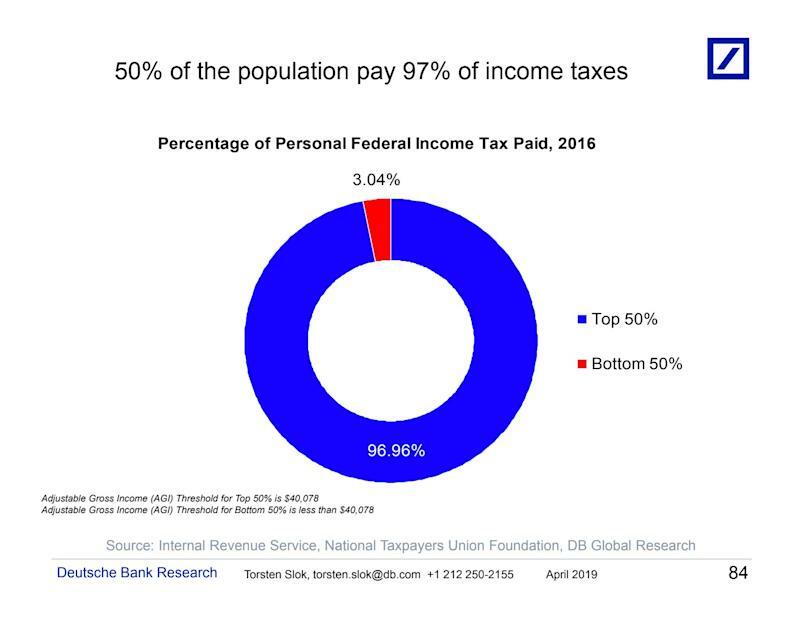 The second chart put it another way, highlighting how 50% of the population paid 97% of income taxes in 2016. Yahoo Finance previously reported on survey findings from Politico and Morning Consult that indicated that 76% of registered voters think wealthy Americans should pay more taxes. And those survey respondents aren’t the only ones — Democratic politicians like Sen. Elizabeth Warren and Rep. Alexandria Ocasio-Cortez have proposed wealth taxes. Presidential candidate Warren floated the idea of a 2%-3% annual tax on a household’s net worth if the wealth exceeds $50 million. 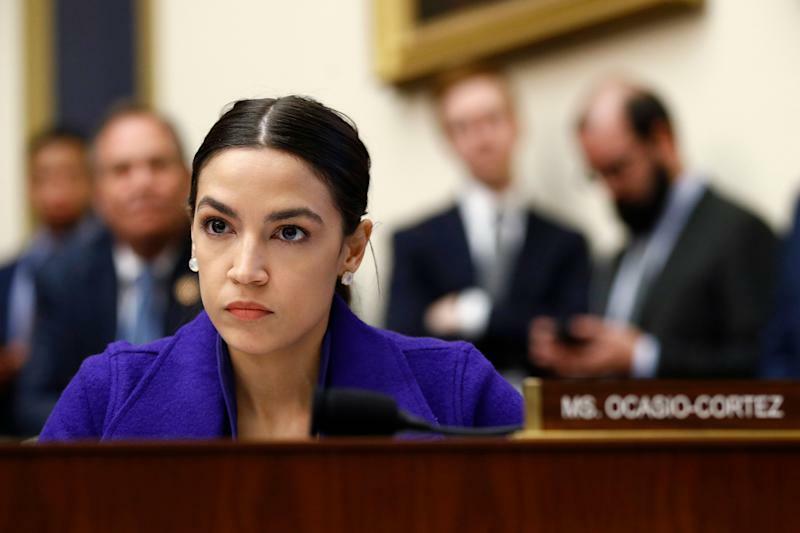 Ocasio-Cortez’s proposal suggests taxing the highest tax bracket at a 70% rate in order to fund environmental projects. “With a 70% federal tax and with average taxes out there in the states … you’re getting very high marginal tax rates that I think would be very difficult to maintain,” Hoagland said. Hoagland acknowledged that the argument made some sense — to a point. Follow Yahoo Finance on Twitter , Facebook , Instagram , Flipboard , SmartNews , LinkedIn , YouTube , and reddit .